Gonzalez Byass La Concha is a popular Sherry available from TheDrinkShop in 75cl to buy online. 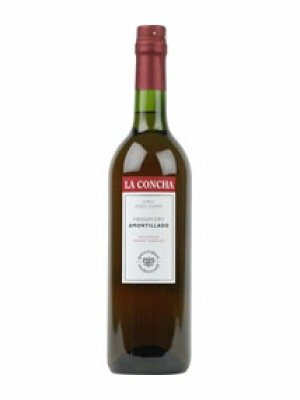 Visit TheDrinkShop for the best price for 75cl of Gonzalez Byass La Concha or compare prices on our other Sherry products. An amontillado (Medium Dry Sherry). Pale Mahogany. 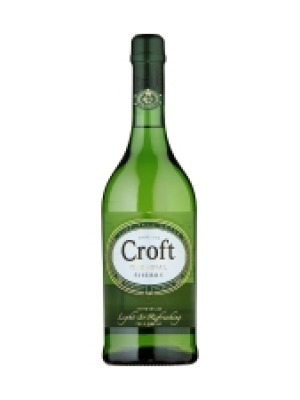 Full bodied, smooth and very tasty. Pungent aroma of hazelnuts with touch of caramel. Its period of ageing may be approximately 4 years. All the grapes are from vineyards owned by Gonzalez Byass in the Jerez Superior area. Consume preferably within a year. Serve cool, but not cold, 16 degrees C. Serve in a half full sherry glass to appreciate its deep fragance and intense aroma. Specilly recommended for drinks with a good ham, cheese, and also excellent with nuts or biscuits. A excellent desert wine. Where to buy Gonzalez Byass La Concha ? Gonzalez Byass La Concha Supermarkets & Stockists. You can buy Gonzalez Byass La Concha online in most retailers and find it in the Sherry aisle in supermarkets but we found the best deals online for Gonzalez Byass La Concha in TheDrinkShop, Waitrose Cellar, and others. Compare the current price of Gonzalez Byass La Concha in 75cl size in the table of offers below. Simply click on the button to order Gonzalez Byass La Concha online now.